On-Español uses Common European Framework of Reference for Languages: Learning, teaching, assessment (CEFR), an international standard used to describe achievements of learners of foreign languages. In agreement with the levels acknowledged by the Instituto Cervantes, we use the CEFR to evaluate the level of comprehension, oral expression, and written Spanish. This framework divides learners into main categories that can be splited into six levels; each one depicts what a student should be able to do in reading, listening, speaking and writing in Spanish. Our courses aim to teach students to express themselves in the Spanish language with ease, effectively, correctly and as fluidly as possible. For this reason, each level has specific functional, grammatical, lexical, cultural and strategical content, as well as the necessary abilities to be able to command the language effectively. Level A1: The students can understand and use everyday expressions and very basic phrases that are frequently used and can satisfy needs of a specific type. They can introduce themselves and others, using very basic information about their life, belongings and also can ask and answer questions about personal details. Level A2: The students are able to understand common phrases, expressions and sentences about subjects of most immediate relevance, as well as communicate about their environment. They can exchange information about common issues and know how to describe occurrences in their past. Level B1: The students understand and produce sentences about personal interests or familiar topics such as situations at work, school or leisure. They can sort with situations likely to arise in their daily life in a foreign country where Spanish is spoken, and they can also describe experiences, events, aspirations, dreams and ambitions, and explain their opinions. Level B2: The students comprehend the key ideas of complex texts of both concrete and abstract subjects. They are able to interact and relate to Spanish natives with effortless communication. Also the students have no problem producing clear, detailed text on various topics and explaining their point of view on an issue, providing the advantages and disadvantages of different subjects and communicating with spontaneity and fluency. Level C1: The students are able to understand a wide range of longer and specific texts, identify implicit meaning, and express thoughts with fluency and spontaneously, using correct sentence structure. They use the Spanish correctly in common personal, academic and professional scenarios. At this level the students can produce clear, well-structured, and detailed sentences about complex topics, in order to organize speech and demonstrate coherence in a discussion. 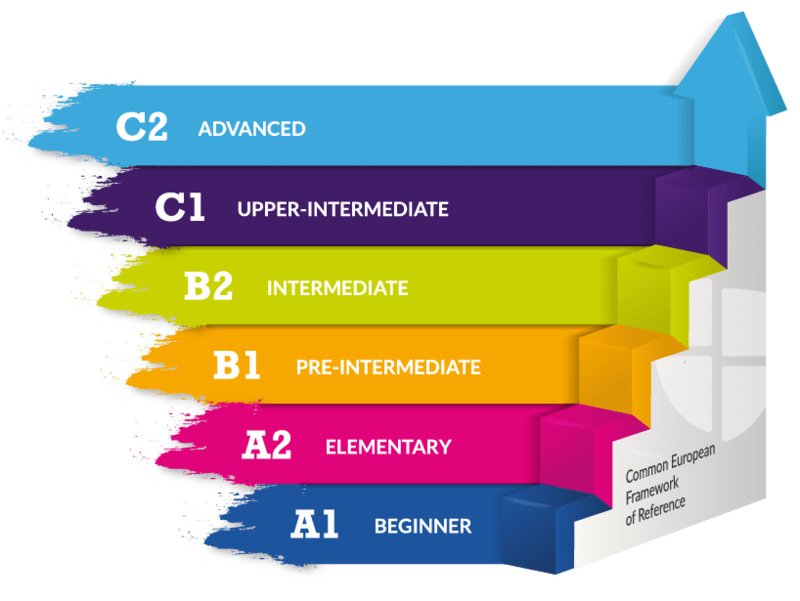 Level C2: The students are capable of understanding nearly the entire language, written or heard. They can reconstruct oral or written information from different sources and make a coherent summary or presentation. They express with fluidity, precision, and spontaneity, distinguishing the small details of Spanish, even in very complex scenarios. Do you know your Spanisl level? Try our level test to find out what your level is.